A fabulous spring morning, marred only by the fact that I’d locked myself out of the house without my phone, camera, hairbrush or lippy … but, the show must go on. Welcome to my DIY wedding flowers workshop. Without workshop space of my own I have the fantastic opportunity to indulge myself by having the pick of some amazing venues. 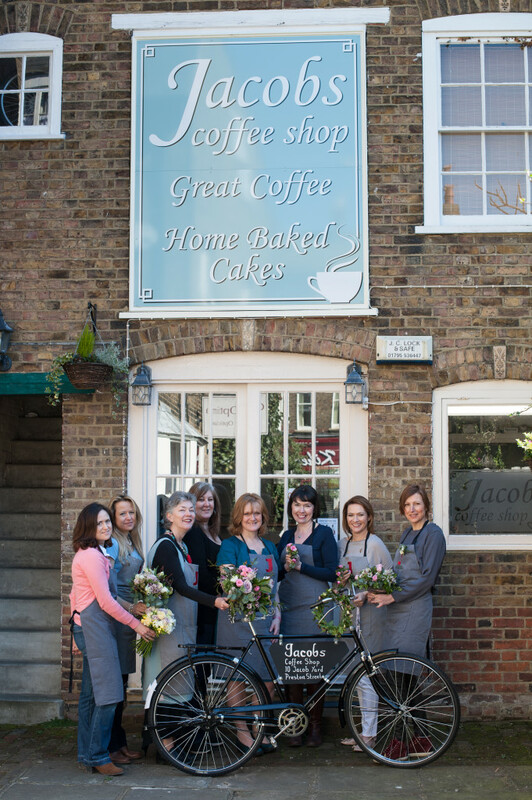 The lovely coffee shop at the end of Jacob’s Yard in Faversham is a new workshop find for me, following its refurbishment by current owner Sue Kimber. The space wasn’t new to me though. Back in 1995, it was an Italian restaurant and the location of my very first Valentine’s Day meal with the man I then married. The coffee shop has lots of space (which is quite unusual for Faversham’s cafes) and is light and airy. We were doubly blessed because the spring weather was really kind to us, so we were able to take photographs inside and out. As you can see by the amazing pictures accompanying this blog post I had the very talented Samantha Jones at my side. 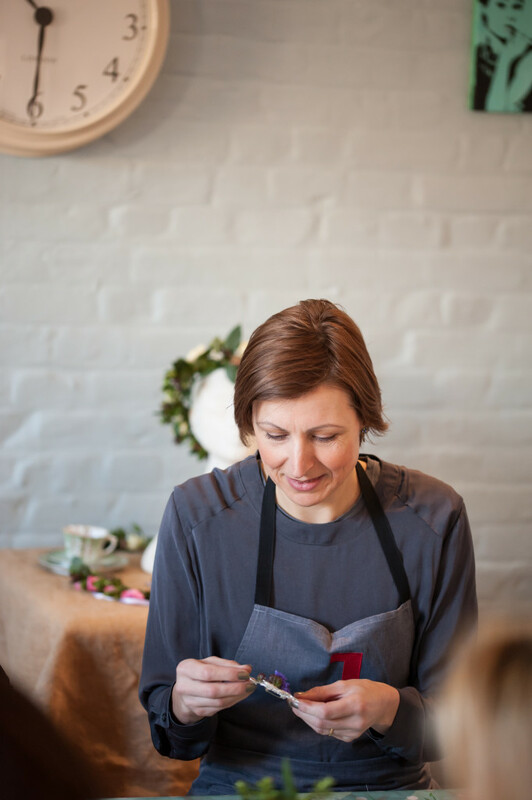 I’d love to hear about your wedding plans – perhaps you’ll join me at a workshop soon and share your stories with me? 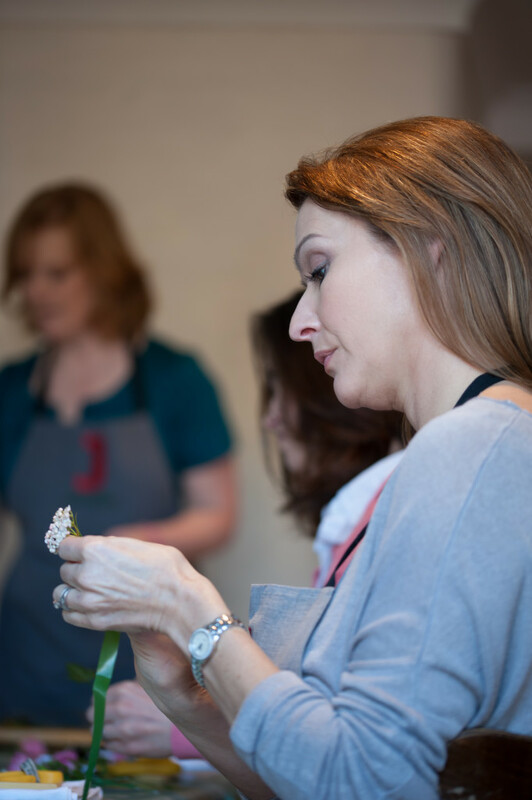 This was a great workshop: lovely premises, beautiful fresh flowers to work with; excellent tuition – not everyone who is as knowledgeable as Julie is can necessarily teach – she can! ; lots of laughs; brownies to die for! ; and the sun shone (not sure Julie was responsible for that though?!). Book your place NOW! I agree with you about the brownies Claudia! Thank you for the lovely comments. 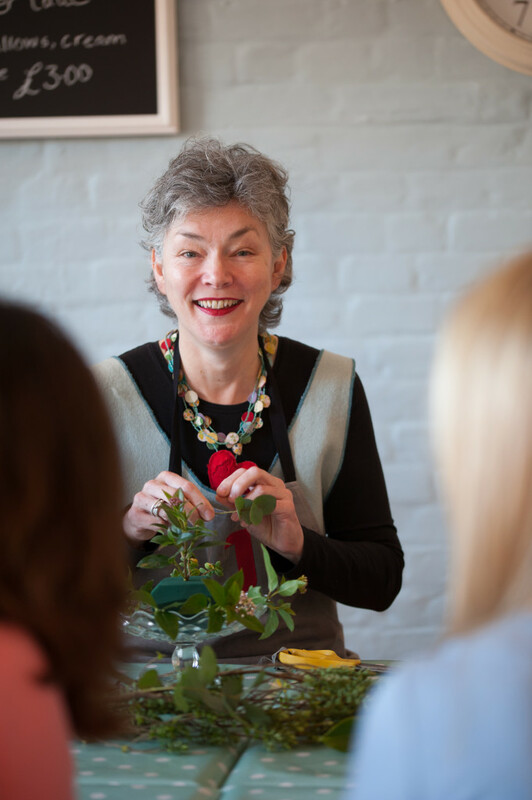 Julie’s wedding flower workshop gave me loads of good ideas on how to create beautiful table arrangements, bouquets, buttonholes and headdresses and the confidence to try them out. Julie is a great tutor and the workshop was really good fun as well as being very informative. It was good to have arrangements that we had made to take home. I would love to do another workshop and learn more skills. 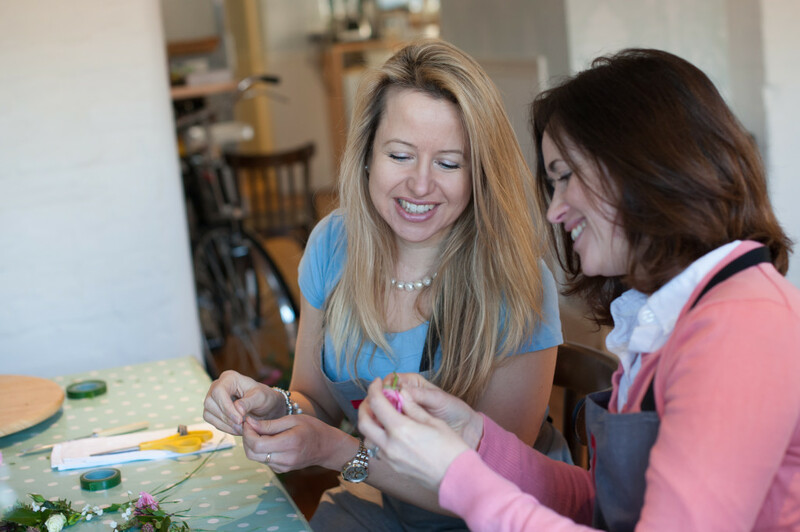 The wedding workshop would be a perfect hen night activity to get your friends helping with the flowers for the big day. It was all very friendly and relaxed and a lovely venue, the chocolate brownies were amazing! A wonderful couple of hours, thanks Julie. Those brownies were obviously a hit! It was really lovely to have you at the workshop Lisa. I hope to see you again soon. Thank you for your lovely comments Jo. I’m looking forward to hearing all about your wedding plans (and flowers)! Thank you for your comments Jo. I’m looking forward to hearing all about your future wedding plans!